A kind person at International Piano magazine has sent me, without comment, a copy of the May/June issue. 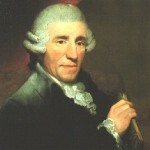 It turns out to have a survey of recordings of Haydn’s ‘Gypsy Rondo’ piano trio. ‘The Florestan Trio … displays uncommon musical intelligence while refusing to allow any hint of sentimentality of any over-indulgence in the finale. This recording has a fundamental feeling of ‘rightness’ that makes it the most likely challenger to the Beaux Arts Trio as the purist’s choice’, writes David Threasher. And there’s a nice big photo of us as well. Finishing his survey with a summary of his favourite five recordings, the reviewer recommends ‘the Florestan Trio ‘for the marriage of intelligence and athleticism in its performance… and they take authenticity to the extent of having a young lady pianist.’ Poetic licence in that adjective, I’m afraid, Mr Threasher, but thank you! This entry was posted on Friday 30th April 2010 at 8:00am	and is filed under Daily Life, Florestan Trio, Reviews. You can leave a response, or trackback from your own site.